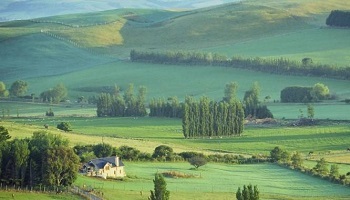 Southland's lush, green pastoral lands are among the richest in the country. 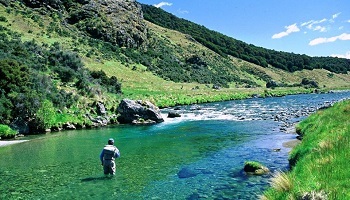 Throughout Southland are a number of accessible waterways that make the region a mecca for fishing enthusiasts. Southland is also lucky to boast large areas of near-pristine rainforest, ideal for day walks and tramping. The region's largest urban centre is Invercargill with many elegant Victorian and Edwardian buildings, gardens and landscaped parks. As in Dunedin to the north, people of Scottish descent also settled Invercargill. 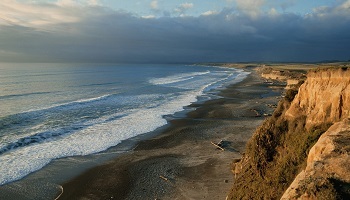 A half-hour drive south from Invercargill is the fishing port of Bluff - home to the famous Bluff oyster and the annual Bluff Oyster and Southland Seafood Festival. From Bluff visitors may be able to spot Stewart Island, a haven for native bird life and the only place in New Zealand where visitors can readily see kiwi in their natural habitat.